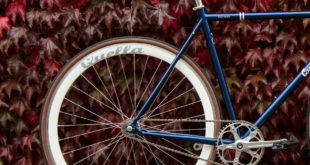 Home / Community / Looking for work in the bike business? Looking for work in the bike business? If you’re currently seeking employment and wouldn’t mind a role in the bicycle trade, get yourself onto our jobs board where we’ve 20 different roles on offer. If you’re handy with the tools and have the certificates to prove it, there’s six position’s on offer, including our ‘job of the week’ with Leisure Lakes. If your forte is sales, there are currently sales representative positions available with both Powacycle and Moore Large, as well as a shop floor sales role with a Trek store soon to open in Coventry. Further sales roles available with Tokyo Fixed, Bikelux and South Downs Bikes – see here for more on those roles. Sigma Sport of Surrey is on the hunt for a junior graphic designer who will take responsibility for the store’s production of email newsletters, promotional banners and various other duties. Cube Bikes are looking for an account manager, tasked with covering southern UK and managing accounts for current and prospective dealers. Specialized are seeking two senior technicians to work within a new concept store in Newbury, Berkshire. There’s plenty more on offer too, so drop by our board to get your career in the industry started.